What is authenticity? What makes a true MC in a converging and growing art-form? Who should hold the center when we are so far gone from whence we came. What is the original art form of rap, as conceived by that Africa Bambaataa prowling the streets of New York. Once in a while, comes an MC who makes you realize just why such questions matter, who make you know exactly why rap has been blessed with constant renewals, through exceptional artists whose gift only serves to defend the purity of the art. Tumi Molekane is one such rapper. Hip Hop will continue to occupy a very important place in our lives because just as you lose hope, A Kendrick Lamar is born, a Reason breaks the mould, and a Tumi is there on the other side, arms wide open to welcome the defenders of the art. All great MC’s are first and foremost Poets. These MC’s know that words, put together skilfully, can become acts in themselves. Words can become weapons to build or to tear asunder. Words can heal or destroy, words can bring life. It is both this knowledge and love for words that makes a poet, that makes a true MC. The path of a true MC is by the narrow gate, filled with thorns and pain, its a road least travelled, its a lonely road, do not expect to be showered with silver and gold, you will not be praised with adulation, there will be no glory, no 15k seater venues, no Rolce Royce Corniche, but there will be longevity, there will be history, the preserving of the art, ultimately, there will be respect and influence, two currencies that can reproduce its own kind. Tumi enjoys the kind of respect not many rappers in the game can possible claim to have. His debut album has been listed as one of the greatest South African albums of all time. Music from My good eye is poetic, it is artistic, like an inspired painter hit by inspiration to lift his brush and never let up, and yes, that is the title of Tumi’s first album, the greatest of all times. One music critic said of Tumi’s debut album, ‘Tumi manages to pull off a convincing sound piece with deep thoughtful lyrics and warm mellow production’. It is a formula Tumi has used since, fully aware that music, unlike Poetry, is also sound and melody and those need artistry too. Here, Tumi has hardly put his foot wrong. Hip Hop is more than just a music choice. Like Poetry, like language, it’s a life choice. Tumi was born in Tanzania, like his US counterparts such as Nas or Damien Marley, he is all too aware of the loss and gain exchange of being uprooted from home so that Hip Hop becomes a voice of longing, a language that connects you to your brothers around the world. With this bond, a Hip Hop that gives you a sense of place in the midst of loss, you cannot be but authentic. And a dream led to this. I am an African; I sing, I dance, I rhyme, I survive. It is a language that has been spoken by slaves around night fires keeping warm, trying to stitch a community, trying to survive. Hip Hop has always been life, it has always been able to inspire, to heal, to tell tales of triumph and loss, to pass the mantle from the old to the young, ultimately, to build a culture we can own. This is worth defending. This is worth explaining. Even when Hip Hop seems stuck like a broken record on money, cars and hoes today, that is worth explaining that is worth defending. Fundamentally Hip Hop is still laying the same necessary base. Those that are displaced, disenfranchised, uprooted, denied opportunities, for them, Hip Hop has been a key to the city, a means of realizing ones dream, even as the dreams themselves evolve. In his book Stealing Empire: P2P, Intellectual Property and Hip-hop Subversion (2008), Professor Adam Haupt of the University of Cape Town analyzed the lyrics Molekane wrote for the Tumi and the Volume song “76”. Among Haupt’s arguments are that contemporary hip hop music provides critical insights into the inheritance of violence in post-apartheid South Africa. 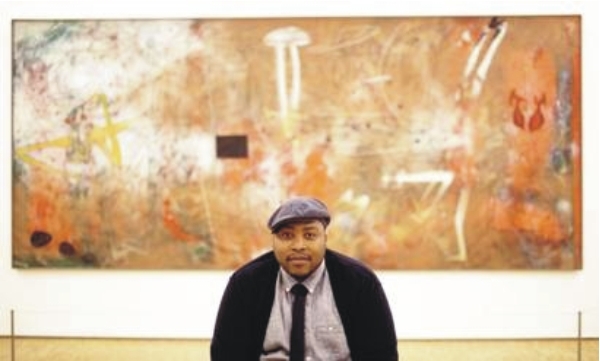 The analysis itself by Haupt is misplaced but the act of searching, through the lyrical content of artists, looking for answers is a correct one, and choosing Tumi and a few others again speaks to the authenticity question. Tumi has given Hip Hop dignity, respect, so that even those who consider themselves as big contributors to the countries knowledge pool, Professors and the like, cannot but reach out to artists like Tumi in acknowledging their contribution into the knowledge pool. And yet, Tumi marched on. In 2006, he was published in the American literary journal The Subterranean Quarterly. Tumi’s accomplishments speak of Hip Hop occupying its rightful place in society’s psych. Over the years, Tumi has been carefully picking and crafting his songs with a skill of a seasoned artist but with the soul of an authentic and genuine MC. If South Africa has produced a number of socially conscious hip hop artists, who are reluctant to compromise their art and political views, Tumi Molekane is the leader of the pack. J. Cole’s ‘KOD’- A Perfect Balance Of Vulnerability And Realness!